I’m taking a virtual walking tour ‘above ground’ on the London Underground. Using my Tube guide & my fitbit® device, my goal is to walk 10,000 steps a day roughly following along the Underground route, reporting back here on Fridays with my findings. Here are the days that came before. This is Day 33 & we're still on the Piccadilly Line. 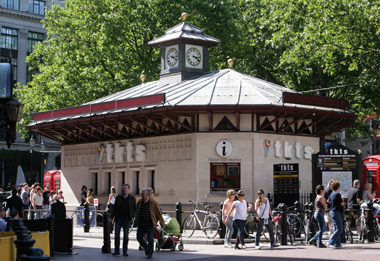 Looking at my map I see Angel's Costume House is a short four minute walk from the Leicester Square tube station. That is a trip we have to take! I heard about Angels when I was writing a piece about the period costumes worn by Carrie Mulligan in Far from the Madding Crowd for Chapter 1-Take 1, my book to movie blog, and learned that the costume designer had used the BAFTA & OSCAR winning Angels costume house as a source. 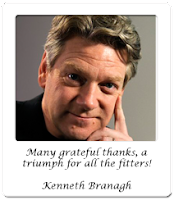 While the 'Visitors book' is filled with scrawled thank you's from the stars, I also learn that that the company moved its production facilities to Camden so chances are we won't be running into Kenneth Branagh, James McAvoy or Hugh Grant today. Not here anyway. I decide to pass. Instead we'll stop off at London's Chinatown district. I have to admit it; I'm a bit of a Chinatown snob. I lived in San Francisco for about a year in the late 1970's when I was in my early 20's, often walking through Chinatown, stopping for a pork bun on my way home from work. My boyfriend at the time bought me a delicate looking glass and black wood box encasing three exquisitely hand-painted eggs on tiny pedestals. Typical tourist souvenir stuff but I adored it and kept the eggs on a bookshelf long after he and I had cracked in two. I have no idea where that box is today, packed away in storage somewhere or passed on to Salvation Army long ago. As for the boyfriend, the last I heard he's a happily married podiatrist living in the state of Washington. I hope he's had a good life. 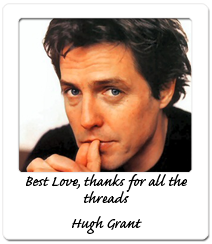 After all is said and done, he was a pretty good egg. Maybe I'll find a replacement at London's Chinatown but let's face it, the reason most of us go to a city's version of Chinatown is for the food. 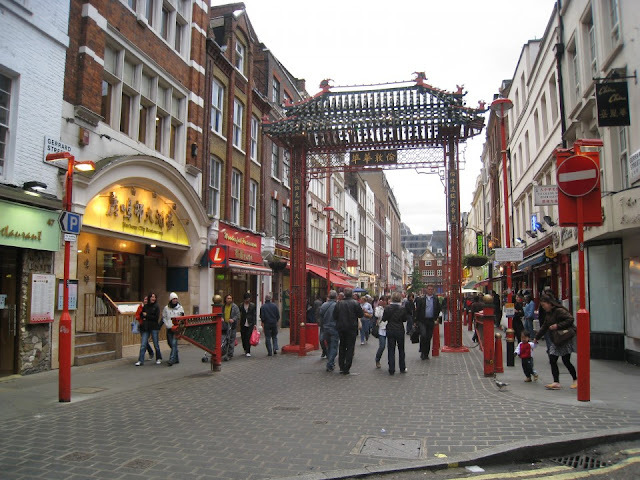 London's district, located between Shaftsbury and Lisle, runs mainly along Gerard Street to the Chinatown gate. We're going to indulge in some dim sum, the Chinese alternative to brunch or tapas if you will. 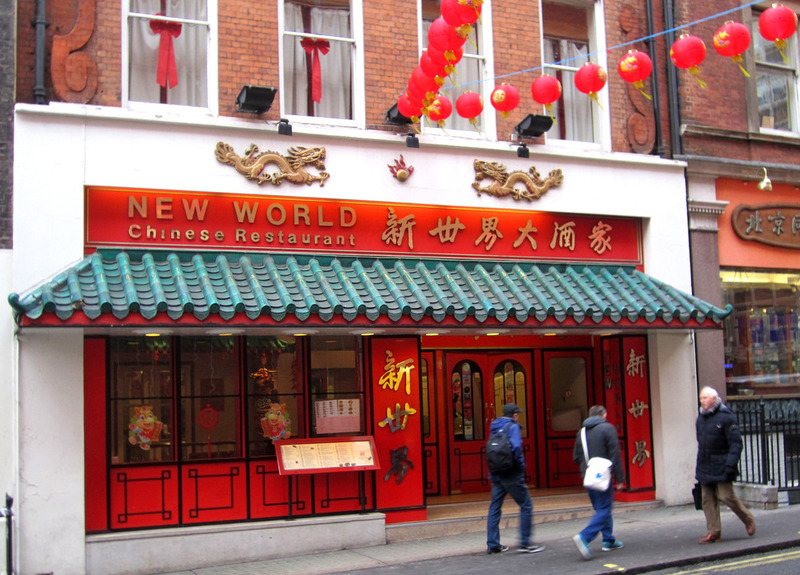 New World, located at #1 Gerrard Street, with its quintessential red & gold exterior, is one of the few remaining—if not the last—Chinese restaurants in London that still serve dim sum from a trolley, the dim sum waiter wheeling the trolley to your table for you to make your selections. At the end of the meal, the plates are counted to determine your bill. I'm not a foodie and my taste tends to be on the boring side so I'll stick with classics like spring rolls, steamed pork buns—I got tremendously fat stuffing my face with pork buns on a daily basis in San Francisco—and pan fried dumplings but the more adventurous among you should look out for dishes like chicken claws in black bean sauce or crispy squid with sweet and sour sauce. I chicken out at the idea of eating chicken feet but that might be your cup of green tea. After dim sum, a little walk around the area to get those fitbit steps in. 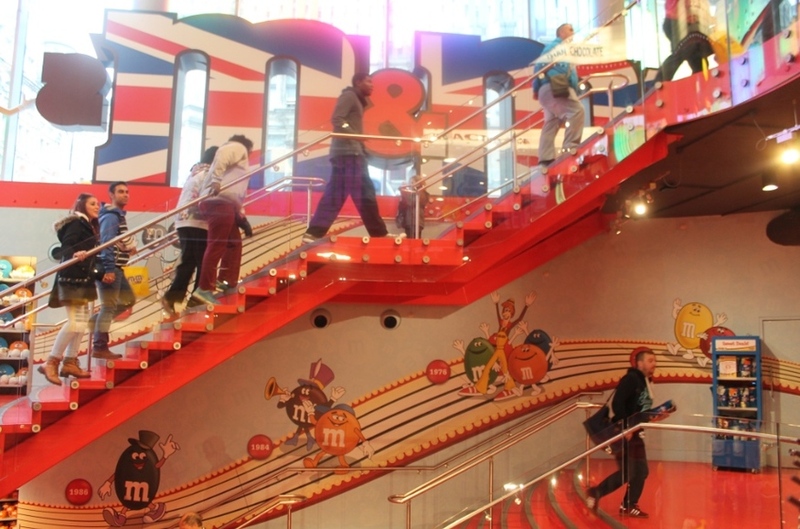 Just cruise around and see if you don't run into M&M World, a monstrous store—four floors worth of M&M products—where you can find M&M's of every variety and emblazoned on everything, from beach towels to pajamas. Why? I don't know why. M&M World is the kind of attraction—like Dylan's Candy Bar that originated in New York—that tourists seem to flock to. So, if you see yourself more as a traveller than a tourist, stay away. If you go, expect to see your favorite M&M characters crossing Abbey Road or posing like Angelina Jolie. 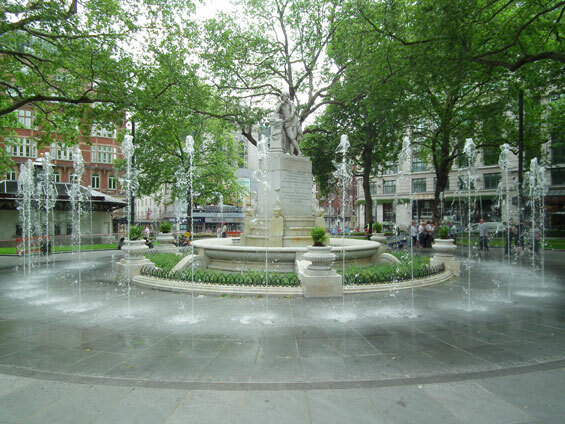 Let's get out of there and get on down to Leicester Square, the heart of London's entertainment center. 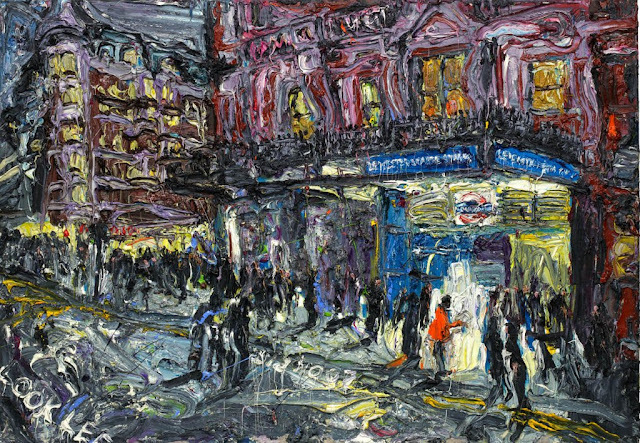 Surrounded by theatres like the iconic Odeon, this is where the majority of London films make their splashy premieres. Here, not at Angels, is where you might actually see James McAvoy, if you time the night just right. This is also where you can get discount tickets to live theater, look for the TKTS booth and ignore imitators where tickets don't contain the Society of Ticket Agents & Retailers (STAR) logo. This handy tip comes completely unbiased courtesy of the Society of Ticket Agents & Retailers. 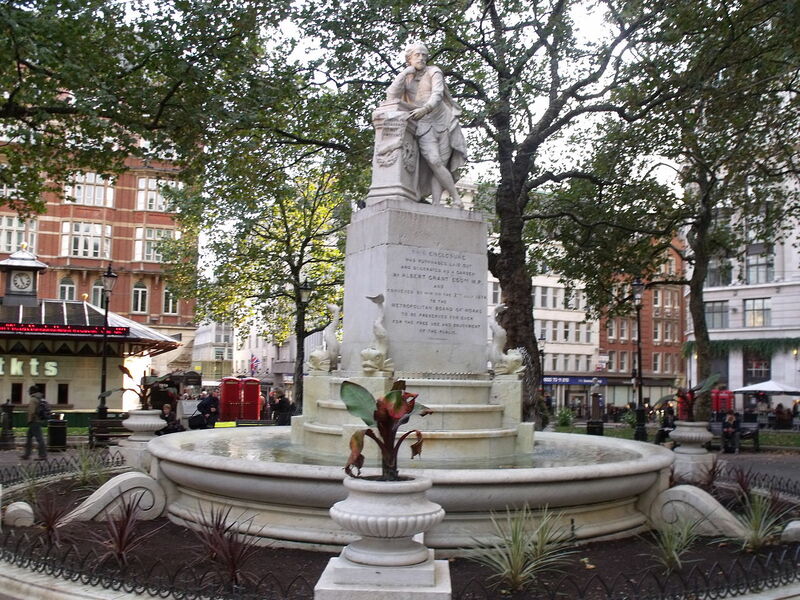 In the center of the square a statue and fountain honor the world's biggest name in drama; William Shakespeare himself. I love how Will is leaning on a stack of folios with a quote—There is no darkness but ignorance—taken from Twelfth Night in which the Fool says to Malvolio. While the square first came into being in the 1670's, the William Shakespeare monument arrived a couple of hundred years later. In 2012, in preparation for the Olympics, the whole area was gussied up. While the total walk equals .7 miles and clocks in at just 15 minutes, I'll walk around Chinatown and Will's fountain until I meet my daily quota. Then I'll spend the rest of the day relaxing at one of the benches that circles the fountain. Join me? 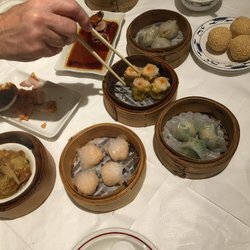 Birmingham, England has a Chinatown that saved us from starving one night when we left supper so late that nothing was open. I don't have much to compare it to, but it sure tasted good that night. The M&Ms made me laugh, but I'm not sure I'd cross the street to go in. Maybe just to witness all that color. Rick Steves gives the same advice about the TKTS booth, so I'd probably stick with that.